Short sales are typically only approved in limited situations where there is minimal equity in the home and the bank stands to lose money if they proceed with a traditional foreclosure. By allowing a homeowner to do a short sale, the bank will be eligible to get reimbursement from numerous government programs. Selling your residential property through a short sale is a unique process, and no two short sales are the same. 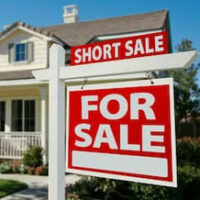 To start, lenders have different criteria they use to approve a short sale. Other variables, like whether the home has liens or a second mortgage, can alter how the short sale approval process is handled. With a short sale, the realtor puts the home on the market for its current value. In the event the mortgage exceeds the sales price, the homeowner will be short in sale proceeds to pay off the balance, making it “short”. Given how backed up some foreclosures are, banks are willing to forgive some deficits. Attempting to go through a short sale approval on your home by yourself is not recommended. Using an experienced Florida real estate attorney can make the difference on whether your short sale is ultimately approved or not. Your attorney can also advise whether a short sale is the right option for you or if you should look at other foreclosure alternatives that may be better suited for your situation, including loan modification, deed in lieu, or bankruptcy. While short sales won’t hurt your credit as much as a bankruptcy filing, there will be some damage to your credit rating from the short sale. It could dip several hundred points, which is similar to a foreclosure, but the difference is that you will be allowed to purchase a home again sooner than someone who went through a foreclosure. For example, you could be able to purchase a new home in as soon as 24 months after a short sale, while after a foreclosure, it might take up to 72 months before you qualify again. In a short sale, you could be required to sign a promissory note that says you’ll pay the difference between whatever the purchase price is and the amount still owed on the mortgage. Signing a promissory note is a legal contract that makes you liable to pay off the debt and gives the lender the option to pursue collections and other legal options to collect on it. In the event your lender doesn’t require you to sign a promissory note, you could still be held liable to pay tax on the debt amount the lender agreed to forgive, as the IRS considers this income. Under the Mortgage Forgiveness Debt Relief Act in 2007, taxpayers who had a portion of their mortgage forgiven on their primary residence can possibly avoid any tax liability by submitting IRS Form 982 with their tax returns. At the Law Offices of Larry E. Bray, P.A. we’ve been assisting homeowners throughout South Florida to avoid going through a foreclosure. If you are in danger of losing your home, contact one of our experienced attorneys at 561-296-5291 to schedule a consultation.